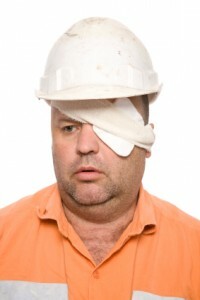 Over 1,000 eye injuries occur in American industry each business day. Aside from the personal tragedy involved, these accidents can result in real financial losses for your company. Let Parrelli Optical protect you! Our goal is to eliminate these accidents and to limit your company’s liability. Our custom plans can include in plant vision screening, eyeglass designing and dispensing to minimize down time. Or your employees can avail themselves of these services on their own time at our Cambridge and Danvers retail locations. Each of our programs offers an extensive selection of safety frames and lenses. Every program offers the services of Registered Dispensing Opticians who professionally design safety eyewear to guaranty the maximum in comfort and vision, improving compliance with safety regulations on the job. There are no mail order forms to complete and each pair of glasses is designed individually considering each employees visual tasks. Contact your local Parrelli Optical® office for information specific to your business.